Designed to develop public speaking skills, TechnoPresenter is the newest project release by TechnoKids Inc. In this project, students create an effective presentation and then learn how to capture the interest of an audience. With specific strategies and step-by-step lessons, students build the skills to become effective communicators. TechnoPresenter can be integrated into any curriculum area – social studies, science, history, geography, or health. The project is inquiry based: teachers select the topic for the presentation, then students formulate their own questions on which to focus their research. Using Google Slides or Microsoft PowerPoint, students build a foundation in presentation skills: creating slides, researching information, adding and formatting text, making a table, and adding images and Word Art to engage the viewers. Finally, students are guided through the rehearsal and practice steps of the oral presentation. 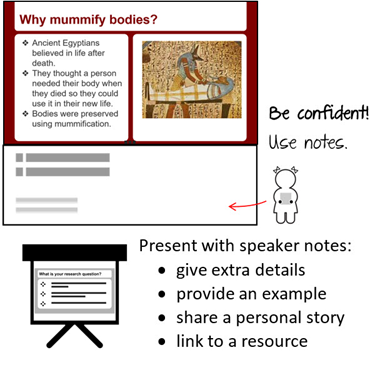 They learn how to use speaker notes to add extra details, examples, a personal story to share, as well as links to the online sources they used. With specific directions about voice, pacing, body language, and eye contact, the student presenters are well on their way to becoming confident and skilled public speakers. 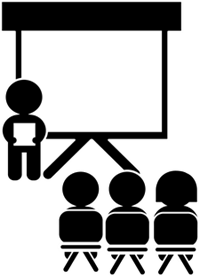 Learn more about TechnoPresenter and how to teach public speaking skills.